In November 2018 one of my many dreams came true. 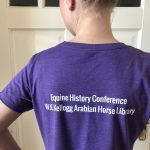 The opportunity to speak at the inaugural conference of the Equine History Collective also resulted in the long dreamed of visit to the Kellogg Arabian horse library and the W.K. 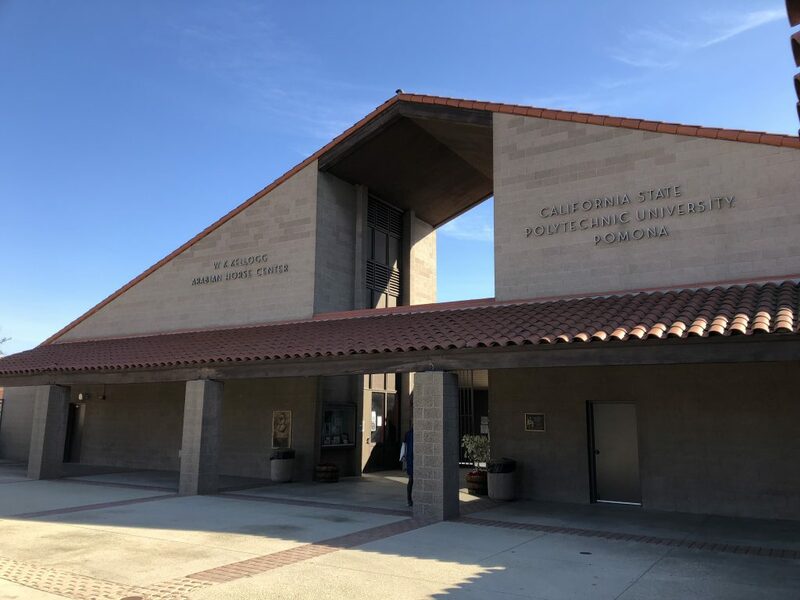 Kellogg Arabian horse center in Pomona, California. Most Arabian horse enthusiasts will have heard of the breeding program and the library but in general people know of this place because of one single horse: Jadaan (1916). 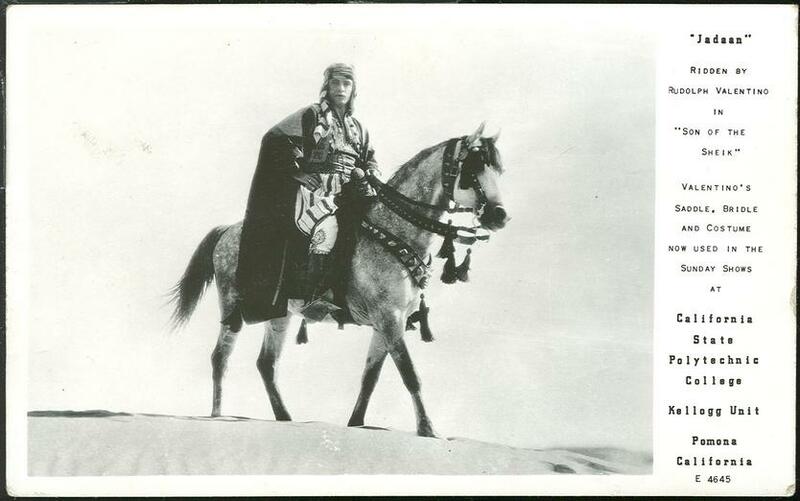 The stallion that Rudolph Valentino rode in the 1926 movie The son of the Sheikh. It was absolutely wonderful to learn about the story of this stallion during the conference, as several paper presentations included details about him. If you are not very familiar with his story you can read a bit more here. 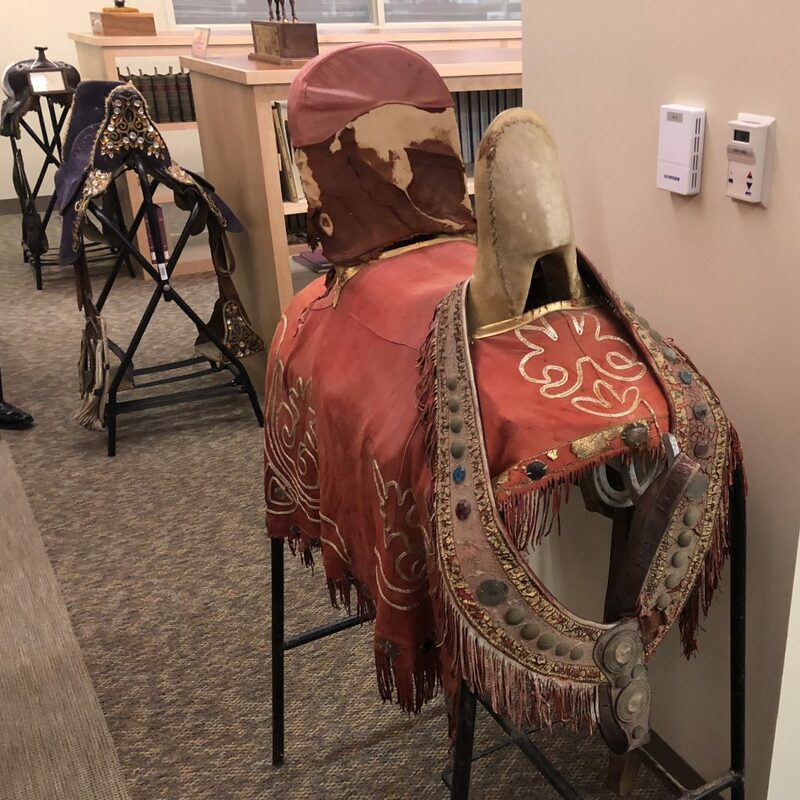 The fact that the Kellogg Arabian horse library holds the saddle of Jadaan made history tangible to me. It was very special to see how they created the supposedly Arab costume for the horse, while Valentino himself tried to distance himself a bit from the general stereotype of the Arab. It was an excellent illustration to the core argument of my own paper presentation: that the concept of the Arabian horse is heavily entangled in Orientalist culture production. 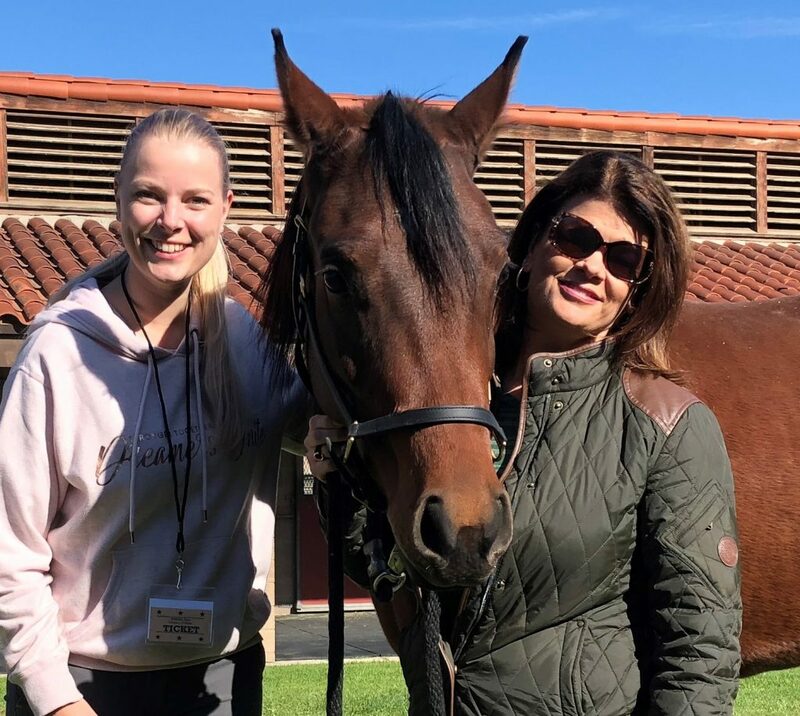 Nevertheless, as an Arabian horse enthusiast myself, I was delighted to learn more about this exceptional stallion, who apparently drew thousands of visitors to his box at the Kellogg Ranch until his death in 1945. A day after the conference, while roaming around Los Angeles with one of my fabulous hosts and dear friend Dr. Kathryn Renton, we wandered into the Hollywood Forever cemetery and discovered that Jadaan’s influence on my trip to California wasn’t over yet. This cemetery is the final resting place of his rider! 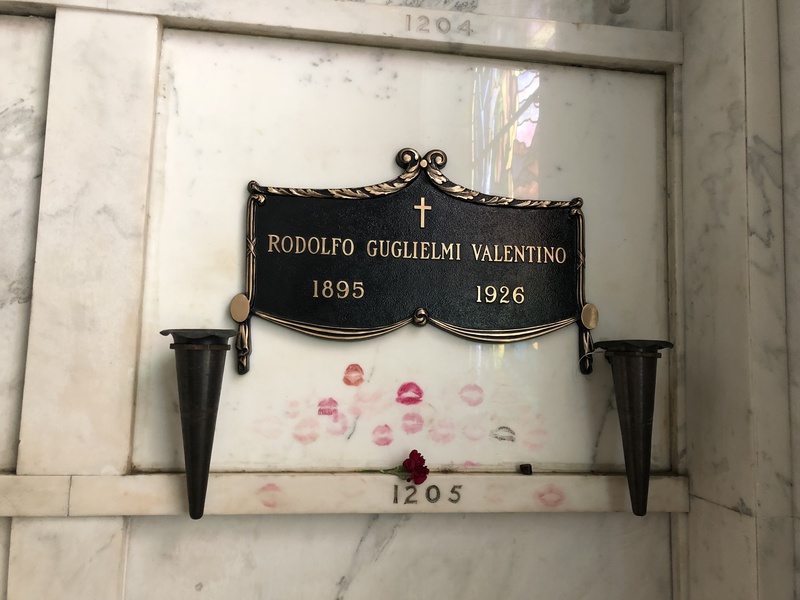 And the kisses on the plaque with Valentino’s name show that their legacy is ever present! I choose to highlight Jadaan’s story here because perhaps we can see him as a famous desert horse as he was often pictured in the desert with Valentino. 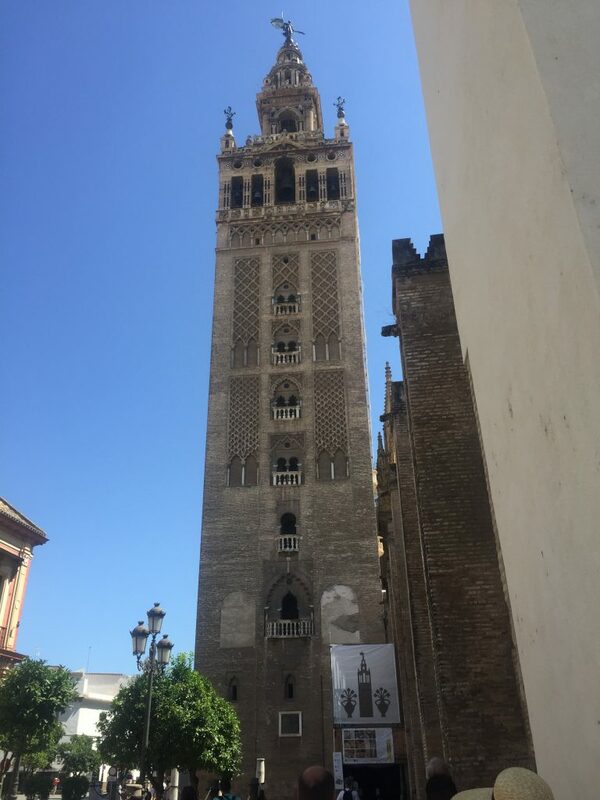 But the Equine History Collective conference was full of amazing people who presented extremely well put together papers about horses and #Burro’s. Many of them about Arabian individuals as well. I was very impressed and please with the quality of the entire event and I thoroughly enjoyed the entire 10 days I spent in California. Many special thanks to Katrin Boniface for also hosting me and making it all possible for me! As said, the visit to the Kellogg Arabian horse library and W.K. Arabian Horse Center was very special to me. Researching parts of the history of the Arabian horse, I had been dreaming of visiting the only Arabian Horse library in the world. And it was absolutely fabulous and everything that I had hoped for. I discovered a few very interesting things in the titles they pulled out for me and I felt like a little child in a candyshop. So much material! Now I can only dream of being able to visit once more in the future to continue the adventure of discovery. Another person making my trip even more special was Jéanne Brooks, director of the W.K.Kellogg Arabian Horse Center. Not only was I honoured to be part of the panel that she chaired during the conference, she also made my visit to the center one to never forget; I got to meet CP Khavalier (out of a Monogramm daughter)! She explained to us that they are still breeding according to the guidelines set out for them in the will of the late W.K. Kellogg. Due to the bad weather in the days before the conference the Sunday show at the center had to be cancelled, but the chance to take a picture with a Kellogg Arabian made up for it! Many thanks to everyone involved in the conference, my hosts, tour guides, roommate, fellow presenters and so many more! Many thanks to my academic buddies from across the world (you know who you are 😀 ) and all my other supporters, you all have made sure that my trip to California was a tremendous success! 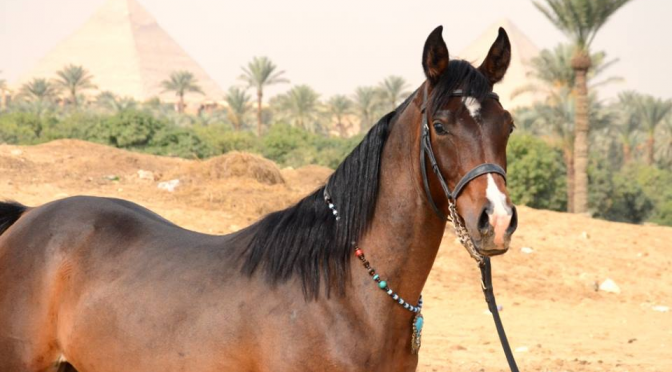 Most Arabian horse enthusiasts have heard of the ‘ancient Egyptian Proto-Arabian’, which is generally considered a strong argument for the idea that the Arabian horse is one of the oldest breeds in the world. Although the images of horses, that the ancient Egyptians have left us are beautiful, we have to ask ourselves, can they really be considered evidence of ancient Arabian horses? The search for the origin of the Arabian horse has resulted in various interesting theories, among which that of the ancient Egyptian Proto-Arabian. This idea surfaced in the 19th century, the formative period for many horse breeds. 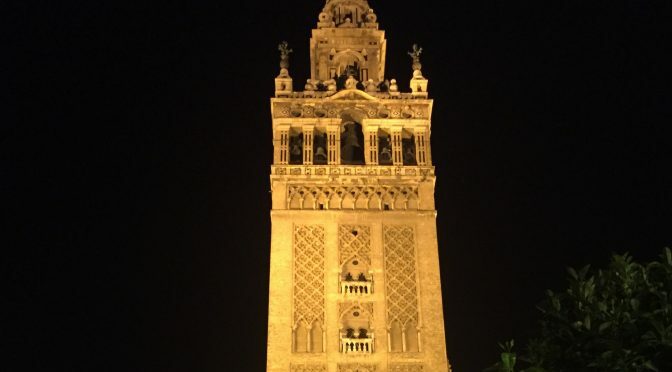 Most material from that period is subject to Orientalism, a Western (mostly European) movement that set out to dominate the East by gathering knowledge about it. During the 19th century any literature about the partly colonised east became very popular and almost nobody criticised the contents of Orientalist literature, including the works on the Arabian horse. Authors traveled to the colonies and tried to trace the history of the breed back in time in an attempt to answer the question of its origin. In Egypt they stumbled upon many depictions of horses and argued that these horses looked very similar to the horses they saw ridden by contemporary Arabs and Bedouin. 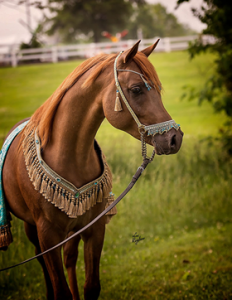 Although we do not determine whether or not a horse is Arabian based on its looks, there is general belief in an ‘ideal’ when it comes to Arabian horse confirmation. 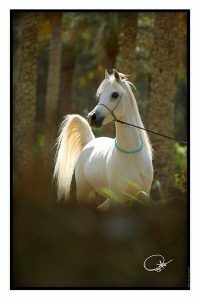 We all seem to agree that the Arabian horse has certain characteristics that sets the breed apart from all other breeds. 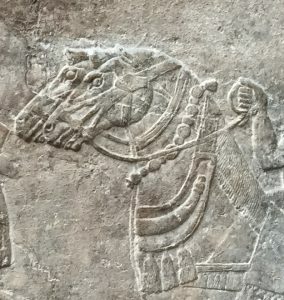 The depictions of horses from ancient Egypt feature a distinctive silhouette that seems similar to the current standard or ‘ideal’ look of Arabian horses. So when we look at the ancient Egyptian horses, we see Arabians in them. This process is called back-projection. But the typical Arabian traits we see, such as the arched neck, elevated tail and concave face, cannot be confirmed through archaeological finds. 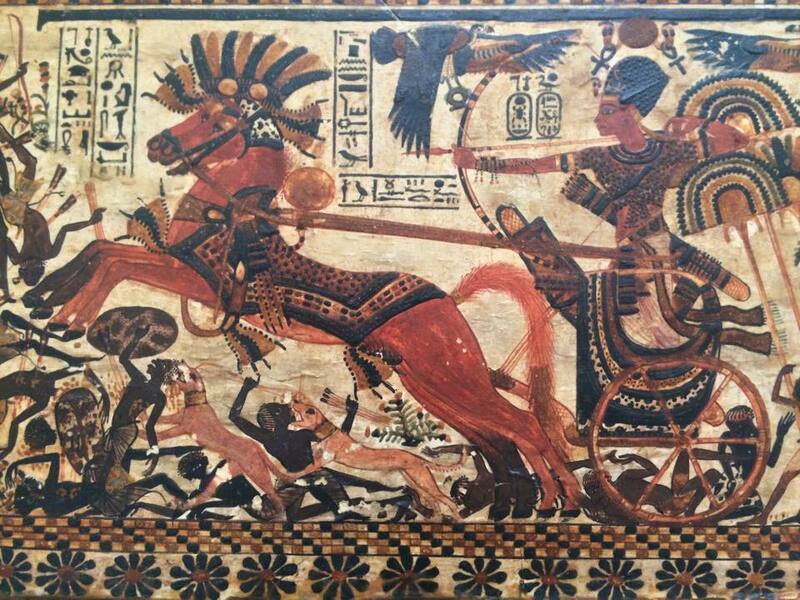 So the question is, if the ancient Egyptian images are different from archaeological finds, why were they depicted this way and can we actually connect them to the history of the Arabian horse? Take a closer look, can you see him looking back at you? The ancient Egyptians are well known for the beautiful images inside their temples, royal tombs, private tombs, and so on. Those images can be analysed in two different ways, namely as a source of information for us, and as a piece of art. The things depicted can give us information, for example the variety of animals they had, including horses. We may perhaps also deduce in what setting they kept or used these animals. For example, we know they had horses in many different colors, including multicolored horses. We also know that they used horses to pull the famous chariots, and judging by the lavish decoration of both chariots and horse tack, we may conclude most horse owners were ranked pretty high on the social ladder. This brings us to an important aspect of the ancient Egyptian images, namely that they are pieces of art. We have to ask ourselves, why were they made? 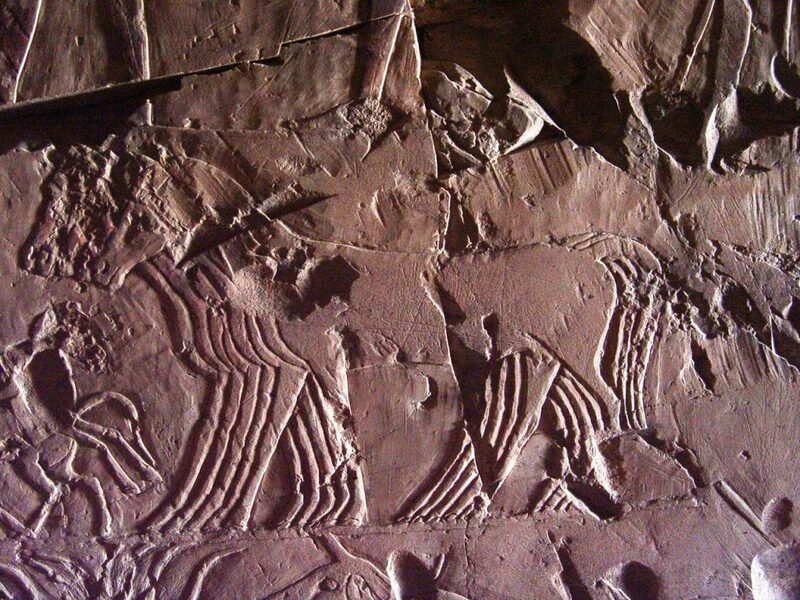 The images of horses inside the tombs were always commissioned. The target audience of these images are the peers and descendants of the tomb owners. 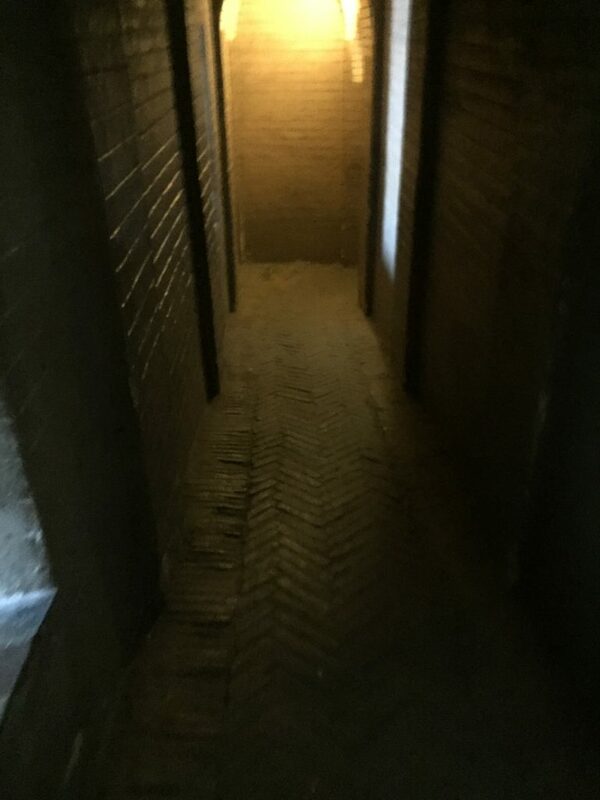 They mean to tell the story of the life of the tomb owner, and to impress their colleagues and friends. Being a novelty item in the 18th dynasty (1550 BC–1292 BC), owning a horse was a sign of wealth and prestige, especially taking into consideration that the maintenance of a horse requires a lot of time, effort and money. The images of horses always appear in a certain context, which is interesting for us when we try to analyse the role of the horse in ancient Egypt. Contexts can be tribute scenes, where foreigners bring horses to the pharaoh as gifts from their kings. But most famous are the hunting scenes, where horses are pulling a chariot with the tomb owner on it, hunting for wildlife. 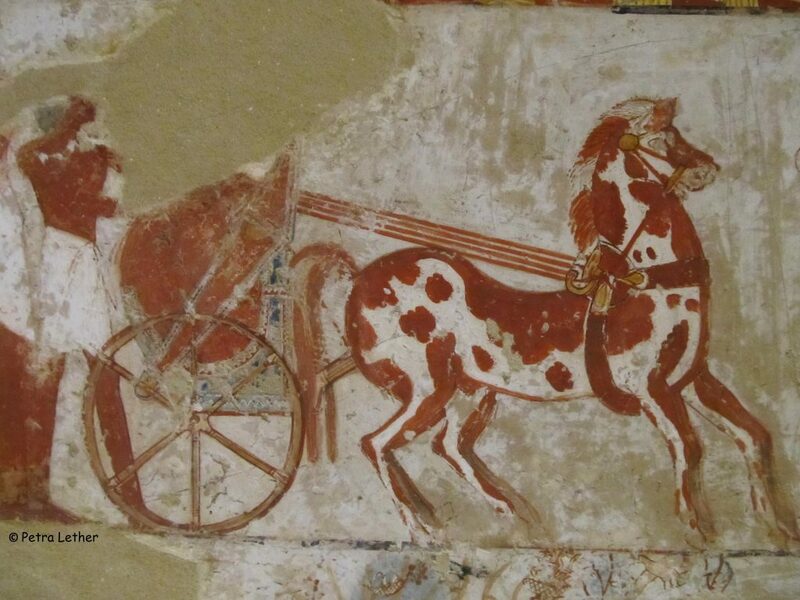 Other than that horses are often displayed as mere ‘mode of transportation’, standing in front of a cart or chariot, assisting the tomb owner’s servants with their daily tasks. In rare cases horses are depicted as part of the tomb owner’s funeral procession. Throughout time in almost all cultures, depictions of horses have a powerful symbolic function. Horses are generally connected to wealth, power and high ranking social status. We have to keep that in mind when analysing ancient Egyptian horse depictions because most depictions had a certain function: to impress their peers. In most cases, it was not the artist’s purpose to show a 1:1 representation of a certain horse that was owned by the tomb owner. They represent a concept rather than an actual animal. Since one cannot display something one does not know, the images are all based on truth, but it’s a version of the truth that fulfils a purpose: showing the tomb’s visitors that the tomb owner was associated with horses. So what does the concept entail? Starting in the 18th dynasty the general ‘shape’ of the horse is somewhat uniform and donkey-like, with ‘add-on’ details to clarify the stories that the artists wanted to convey to their public. Gender markers such as udders, sheaths and scrotums are very straight forward details but when it comes to posture, which could distinguish a chariot horse from other horses, we have to be careful not to take these images at face value. Over time certain attributes of the horse are displayed differently as the concept of the horse imagery develops. The horse is not a ‘new’ feature anymore, artists are now more familiar with the use and the behaviour of the animal, and the concept gets more horse-like rather than donkey-like or just four-legged. The image of the horse now gets its own character. What we see is that horses are less frequently depicted with all four feet on the ground, their backs are more hollow and their tails are placed higher up their voluminous bum. The changed features serve a purpose: to make sure the public is not confused between donkey, horse and mules anymore. The problem with defining these traits as actual physical characteristics is that the image of the horse keeps changing over time. As long as the image keeps changing, the way the horse is displayed should not be interpreted as closely resembling the truth. The most important thing in ancient Egypt was to display the concept of a horse, and the way it is actually displayed depended on the artist, the time period and the tomb owner’s preferences. If we cannot take the images for a practical reality, however, can we learn anything from them as to whether the ancient Egyptians bred horses or had some sort of notion of breeds? An intensive study of the colours of horses shows that all the colours that found in depictions, are colours that could have indeed existed in reality. This means that the artist had to stay within certain boundaries to make sure he depicted the horse correctly. Artists used colour to express their creativity, for example in tombs where there are multiple horses displayed. 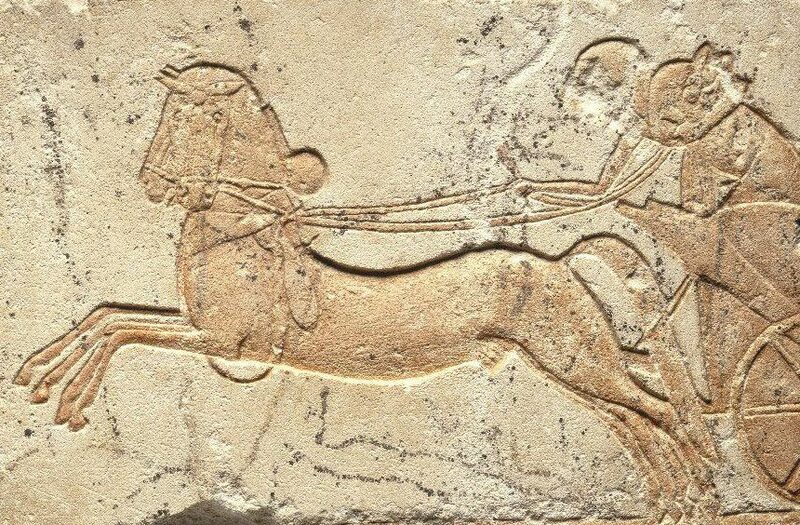 The most common image is that of two horses: this is the amount of horses one needs to pull an Egyptian chariot. If more horses are brought in, sometimes the artist uses that to show his array of possibilities, painting horses different colours. Of course we know that in reality certain colours are more common than others, and so when we see more white horses depicted than chestnut ones, we know that the artist had an ulterior motive here: showing the high status of the tomb owner. If we see a scene with horses showing various different colours, we know that this is not a representation of the truth, but the artist showing all the different possibilities, and therefore his craftsmanship. In terms of breeding, this is interesting too. White horses are rather common in depictions at the beginning of the 18th dynasty. Often the combination white-chestnut is used, but as said before, this was probably related to status since white is a generally less prevailing colour . We do believe the ancient Egyptians were breeding horse because they were very well aware of the differences between stallions and mares. There is one scene in TT123, the tomb of Amenemhat, that shows a group of five horses, with a pair of foals in front of them. The udders of the mares are clearly visible, meaning they are probably the foals’ parents. These horses are being brought in as tribute. The scene is preceded by two more horses, being brought in as a pair, with no udders visible. This probably means that the first two horses are being brought in as chariot horses, since they are a pair, and that the other five horses were used for breeding. Breeding horses into a certain ‘breed’ the way we define it however, is unlikely. Horses of different colours however, might indicate difference in origin. Horses from the beginning of the 18th dynasty were probably mainly gathered either as tribute or as booty of war. Texts from the time of Thutmose III list great amounts of chariots, mares, yearlings, foals and stallions. Later in the 18th dynasty the Egyptians most likely established their own breeding centres, keeping in mind that caring for a horse costs a lot of money, it is likely to assume that most establishments that kept a lot of horses belonged to the government. This makes sense considering the pharaohs were very keen on using them as part of their newly acquired machine of war. Some have argued that the change in depiction might also be an indication of a different breed. Since there are not enough archaeological remains of horses however, this is not a correct assumption to make. We also should not forget the rules of the images: we should not take them at face value, and as long as the image of the horse keeps changing, we cannot interpret the way it is depicted as naturalistic display. The only archaeological remains we have are indications of the size of the horse, which are always between 1.35-1.50 meters high. Unfortunately, this tells us nearly nothing about a potential breed, keeping in mind that 3.500 years ago all species, including humans, were smaller. Although we cannot conclude that the ancient Egyptians had Arabians, or any notion of breeds altogether, we can perhaps learn something else from the ancient depictions. What if we were looking at this the wrong way? Our back-projection of the Arabian ‘ideal’ onto ancient Egyptian horse imagery has perhaps prevented us from seeing something remarkable on the Egyptian streets today. Traveling through Egypt you will come across what Egyptians call “Baladi” horses literally everywhere. Balad meaning either town or country and i being the case end for possessive: “native horses”. Many of these horses feature distinctive coat patterns that look very similar to those in the ancient depictions and until today it remains a mystery that especially in Egypt, also famous for its Straight Egyptian Arabians, there are so many multi coloured horses. 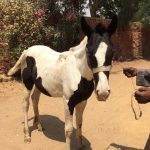 Sadly we cannot trace their origin to a specific breed or geographical location, as they have been interbred with both Arabians and various European horses brought over since the colonisation of Egypt. But it raises an important question: did we overlook a historical treasure, alive today, as far descendants of ancient Egyptian horses? WAHO does not provide us with a breed-standard standard that contains a description of what an Arabian horse should look like in order to be considered acceptable to be registered. After having seen the images of the horses brought to Damascus for the celebration of Independence Day, I started thinking about Syria and its history as a ‘true horse country’. Usually when we think about ancient horses Syria is not the one of the first places that come to mind, yet it should be. Not only did Syria host some of the most famous horse cultures in history, it is perhaps also a place of origin of the ever so famous Arabian horse. Although we do not know for certain which peoples introduced the horse to the Near East, or where exactly the horses came from, Maryannu existed in the region of current Syria and Palestine as early as the second half of the second millennium BC. Maryannu were an elite class of chariot warriors that became nobles, based on the idea that their expertise in horse care and chariot handling was an ancestral tradition. Other than the existence of a relation between the Maryannu and chariot warfare in the region, we do not know whether they represented a specific peoples or kingdom. By the end of the second millennium BC this noble Maryannu class had disappeared. Kikkuli (approx. 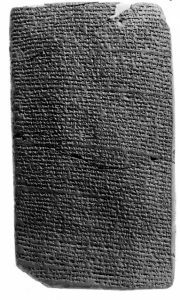 1400 BC) a Hurrian from Mittani (northern Syria), left us instructions on how to exercise and feed a horse for 214 days, in order to prepare it for war. Surprisingly, his work describes much of the things we currently still consider normal horse care, such as stabling, rugging and feeding meals. Interestingly Mittani, together with Ishuwa, a state probably located north of it, are said to have tried to forge an alliance against the Hittites, however ended up becoming vassal states of the Hittites. Ishuwa is thought to mean “Horse Land” however no further research has been done to confirm that. After the fall of the Hittites and the Assyrian Empire, the region became known as Aram, home to Aramean tribes. They are mentioned in various Bible versions as buyers or receivers of horses, in relation to Solomon’s horse traders. By the 9th century BC the Neo-Assyrian Empire started launching attacks in almost all of the Near East, including Aram, Babylonia and ancient Iran, in order to keep their trade routes open. Slowly the Aramean kingdoms were conquered and became part of the Neo-Assyriam empire, and the Arameans were absorbed by indigenous peoples of Assyria and Babylonia. 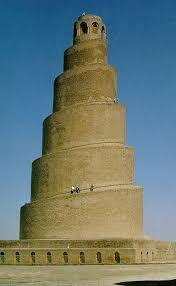 But their influence did not disappear; Arameic and Syriac became official languages of the Neo-Assyrian Empire. Towards the 7th century BC the Empire weakened under influence of civil wars (due to so many ethnic minorities within its borders; Babylonians, Chaldeans, Medes, Persians, Parthians and Cimmerians) and eventually Niniveh fell in 612 BC. During those wars, hordes of Scythians ravaged through Aram all the way to Egypt. 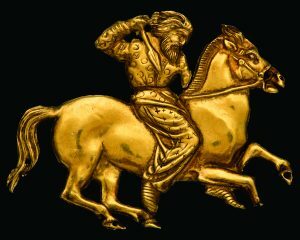 Scythians are considered one of the first peoples to master mounted warfare. They were warlike nomads famous for their equestrian skills and the use of bow and arrow. It is unlikely to think that the Scythians would not have left some of their horsemanship behind in every region they rampaged. Herodotus describes Syria in the 5th century BC; stretching “from the Halys river, including Cappadocia (in Turkey today ) to the Mount Casius. Cappadocia is of interest to us horse enthusiasts. In Old Persian the name would be Haspaduya, which is said to be derived from Iranian Huw-aspa-dahyu- “the land/country of beautiful horses”. Cappadocia once was a supplier of horses to many places in the Middle East, even Yemen. Various Orientalist writers mention a gift of no less than 400 Cappadocian horses to a Christian Arabian king in Yemen in the 4th century AD. Some of those southern Arabian tribes migrated to the Levant during the 3rd and 4th century AD. Syria was then one of the most important Roman provinces and even produced emperors such as ‘Philip the Arab’ (244-249). 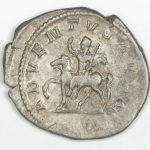 From a beautiful coin from his rule we learn that horses were definitely part of his life. But after the Islamic conquests , Syria now added to the Islamic Empire (634-640), the story of the Arabian horse in particular, is connected to various famous rulers. The odd thing however, is that sources on the history of the Arabian horse fail to mention that said rulers were not Arabs, but of ethnic minorities that were all part of the Islamic empire. One such horse loving man was of course Salah al-Din al Ayoubi (1137-1193), the first Sultan of Egypt and Syria, almost always depicted mounted on a horse. 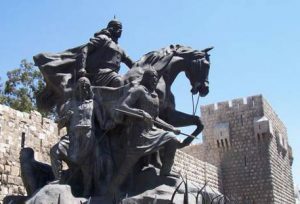 Famed for his struggle with the Crusaders he is said to have had a specific love for Arab horses and great knowledge of their genealogy. Sultan Baibars (1223/1228 –1277) was a Cuman born near the Volga river. Upon his death he left behind a collection of 7000 horses. It is rumoured that these were Arabian horses. 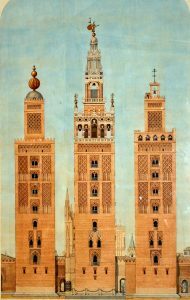 Sultan Baibars also enhanced the postal system between his castles Damascus and Cairo. Chroniclers do not provide us with exact numbers but approximately a dozen horses is said to have been stabled at each of the stations between the two castles. 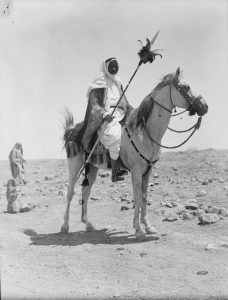 Terms used for the grooms (sayyaas) and the person taking the horses from one station to the other (sawwaaq) are still in use in Egypt today as groom (sayyis/suyyaas) and driver (sawwaaq). Baibars obtained horses for his postal service from Turkoman and Arab tribes. These horses were called khayl al mushaaharah: ‘horses that supply a month of service until they are replaced’. Chroniclers tell us that Arabs did not feed their horses well enough so only horses that had not been in service before were accepted from them, while Turkoman horses were repeatedly serving. Sultan Qalawun (1285–1341) also of Turkic (and Mongol) bought ‘excellent horses’ for enormous amounts of money. Many of the reports state that the horses were brought to him from Aleppo and Damascus. After contact was made with the Arab world during the Crusades, we find references to Oriental horses being brought to Europe. Sometimes over land, mostly from Turkey and surroundings, and sometimes by ship, the port of choice almost always being Iskenderun. Horses shipped there were kept in Aleppo until ships were ready to be loaded and depart. 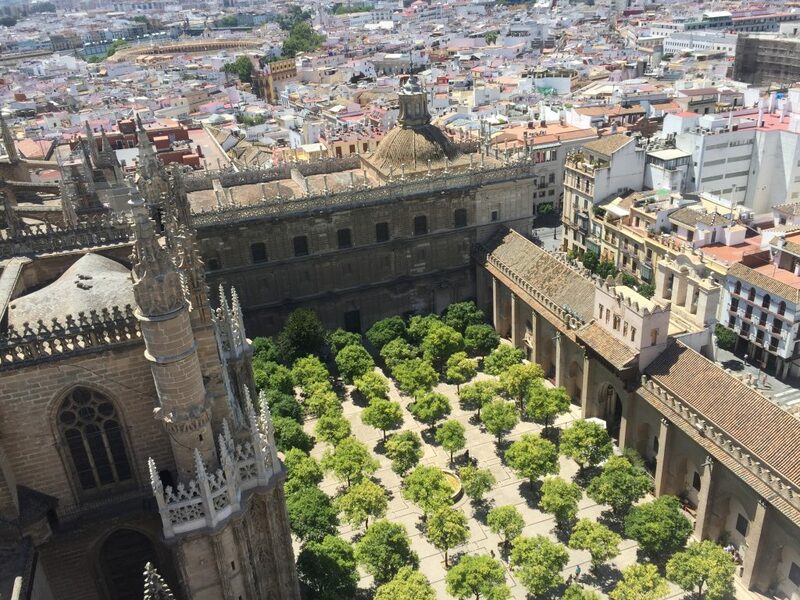 A lot of the later imports to Europe in the 17th-19th century were also shipped from that harbor. I think it is safe to conclude that Syria has long been home to horses, and because of its strategic position it can possibly also be seen as a place of origin to the Arabian horse. The Ghassanids, allegedly one of the first Arab tribes to have Arabian horses, possibly obtained their horses in Syria when they became vassal states of the Eastern Roman Empire. It is not an exaggeration to say that the equus caballus reached its finest form in pre-Islamic times in Ghassanland. 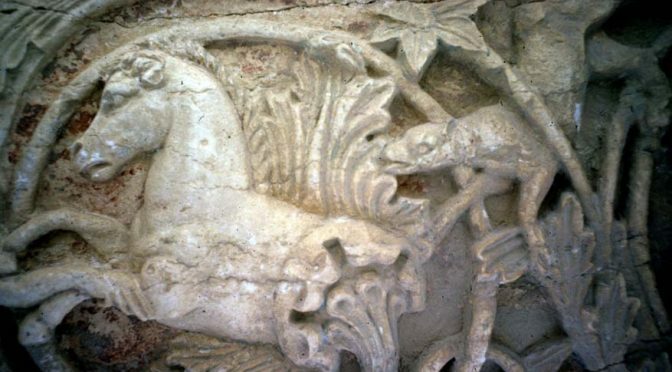 The Arab warhorse, which benefitted from the Byzantine experience of its rider, was also kept fit by Graeco-Roman expertise in two important areas, which also show Byzantine influence. Medically that expertise was directed not only toward human beings but also toward animals, especially horses – hence the rise of hippology and hippiatry, the diagnosis and treatment of horse diseases. The Greek influence is reflected in the term ίππιατρόϛ, which entered Arabic as the loanwords baytar, the veterinary surgeon and baytara, hippiatry. Baytar still survives in modern Arabic as a family name. Another term underscores the debt of Arabic and the Arab federates to the Roman military establishment, namely, istabl, a loanword in Arabic from Latin stabulum, “stable”. 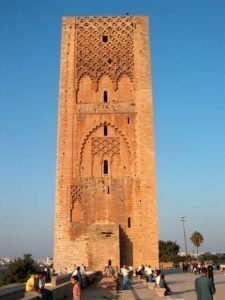 – Byzantium and the Arabs in the Sixth Century, Vol 2,Part 2. By Irfan Shahid. p. 231. Decorating one’s horse is something of all cultures. We all do it. But one particular thing caught my eye when I first moved to Egypt and got involved in the horse scene there. Horses and donkeys wear necklaces. Not all of them, but a lot of them do. In all kinds of shapes, from braided cotton or wool to a string with just one bead (mostly blue) or colorful beaded necklaces. 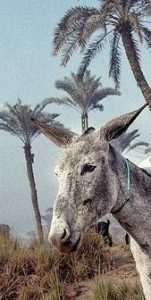 When I asked local horse and donkey owners why they would make their animals wear such things they all answered that it was to protect their precious animal from “the evil eye” (al- ᵓain). Many westerners have probably never heard of this eye, I definitely hadn’t until that moment. In Egypt the notion of the evil eye is largely based on Islamic beliefs, however I think the idea of an evil eye is more common than we realise. Who doesn’t remember the burning eye that represents evil forces in the Lord of the Rings trilogy? But let’s stay in the real world. Explanations of the evil eye frequently quote the Qur’ān: Say, “I seek refuge in the Lord of daybreak..” (113:1) “..And from the evil of the envier when he envieth.”(113:5). Envy and jealousy are not unfamiliar to us, only in this case those emotions can cause harm to the victim of the evil eye. You could view it as transferable and perhaps even a disease as general belief is that there are symptoms when a person is ‘struck’ by an evil eye of another. Physical and emotional fatigue, cramps, headaches, hair loss, diarrhea and many other ailments and disorders are ascribed to the evil eye. But it cannot only affect humans, but animals too. Symptoms include drying up of the milk in females, impotency in males, horrific accidents and even outbreaks of for example ringworm or strangles is frequently attributed to the evil eye. Some people will no doubt question the idea of the evil eye but for Muslims confirmation came from Prophet Muhammad himself: “The evil eye is a fact.” (Bukhari 5944: Book 77, Hadith 159) So what can one do when struck by the eye? Sadly not a lot, some say taking a bath may help but the general way to try to get rid of it is by prayer and recitation of the Qur’ān. Since it is hard to get rid of the evil eye, people logically came up with ways to try to prevent it. And this brings us back to the horses. During the research for my MA thesis I interviewed various breeders and horseowners in Egypt in to figure out how much of their practices are ascribed to Islamic guidelines. The necklaces that are said to protect the horses from attracting an evil eye were one of the topics that I discussed with them as I found contradicting aḥadith on this matter. “No necklace of bowstring or anything else must be left on a Camels‟ neck, must be cut off. The narrator Malik said “I think this was due to evil eye.” (Abū Dāwūd Sunān, book 15, no. 76) In the book where we find this ḥadith elaboration whether this might apply to other animals is absent. However in the ‘Book on horses’ by Abū Ubaida this very same ḥadith is mentioned to also apply to horses and explaned as a warning from the Prophet against Bedouin tradition. The Prophet is said to have prohibited the habit of decorating horses’ necks with colorful beads to dismiss evil spirits based on the Islamic view that beads cannot repel divine power and fear that horses would endure injury from tight necklaces. So perhaps the idea of the necklace isn’t as based on Islamic views as we thought it was. But then why does this decorating prevail, and is especially widespread in Egypt? The answer may be in a necklace from the 18th dynasty (1351–1334 BC) found in 1911. 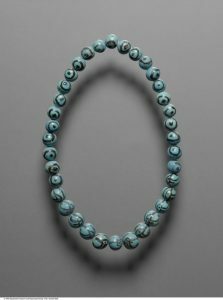 It is 95 centimeters long and features 35 blue beads, of which 24 are decorated with the so called ‘fish-eye’ and 11 with the ‘Udjat’ eye. One of the beads has an extra drawing on the back of the ‘ankh’ symbol that stands for life and power. At first the necklace may look like it belonged to a princess or other important person but it was found in the stables. Correspondence from the 14th century BC contains notice of “horse-necklaces”. It is assumed that the necklace found in 1911 was decoration of the harness, but any person who has worked with horses would consider the suggested placement odd if not dangerous. Also the necklace doesn’t look very flexible and horseowners will recognise it’s shape as somewhat reflecting a typical harness collar. According to ancient Egyptian myth, the Udjat eyes represent the eyes of the god Horus. He and Seth were fighting over the throne of Osiris when Seth poked out Horus his left eye. Legend has Thoth restore the eye and Horus then offered the eye to Osiris in the hope to restore his life. Since that moment the eye of Horus has come to symbolise healing and protection. In modern Egypt the blue fish-eye is still very popular and sold almost everywhere, even in supermarkets, as pendants for the home, car, as jewelry and even as car stickers. Frequently horses and donkeys are wearing some form of necklace, many times in the typical blue of the eye, but other colors are also seen. 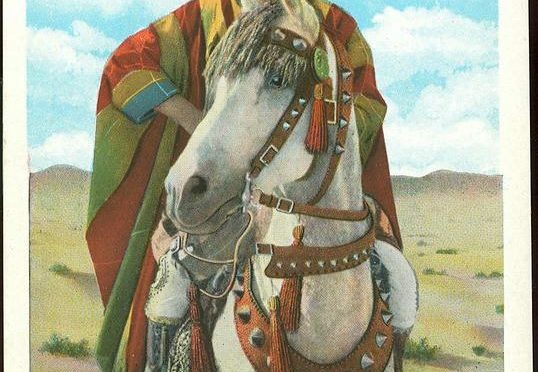 Although the tradition of decorating ones horse with a necklace to repel evil is probably older than the Islamic notion of the evil eye, the habit did somehow grow connected to horsebreeds of the Middle East. Especially the Arabian horse can be seen in modern shows around the world and photoshoots wearing large breastcollars featuring bright colours, but also in Iran, North Africa and among Turkish horsebreeds, horses are generally presented with some form of decoration around their necks. 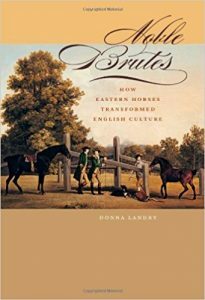 Noble Brutes: How Eastern Horses Transformed English Culture, Landry, Donna. The John Hopkins University Press, 2008. In light of a paper I am working on for WOCMES this year I finally read Noble Brutes. It was long overdue as Donna Landry is an authority in our rather small group of equine historians. She has published on horses as cultural agents throughout history, women writing, travel writing, imperialism and Orientalism. Combining all these elements resulted in the interdisciplinary work Noble brutes, in which she also touches upon Ottoman history, art history and military history. 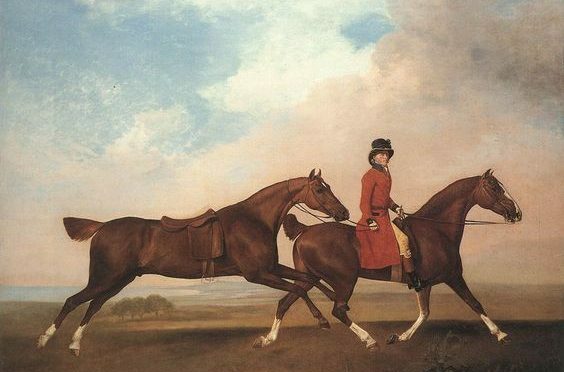 The book starts with the introduction of “His lordship’s Arabian”, a phrase that characterizes a large part of equestrian discourse in 18th century England (and Ireland). Landry explains how the Eastern/Oriental horse rose to tremendous popularity following the first wave of imports between 1650 and 1750, and shows that it did not matter at that point where the horse actually came from or what breed it may have been, there was a general tendency to call them Arabians. She shows how various identities developed in the British Isles, such as English, Irish, Scots, Welsh etc., and argues that a similar movement happened in the horse culture at the same time. Eastern horses represented a legendary equine ideal that had already been formulated in the 16th century, however had perhaps more to do with the way of riding them than the horses themselves. A brief sketch is made of “Horsemanship in the British Isles before the Eastern invasion” when horses were still seen as property yet embodied a powerful symbolic. Owning a good horse and riding it well showed that one possessed all the necessary qualities for social authority and political rule. The idea of the horse as a ideal version of the human self was on the rise and Eastern imports would “revolutionize” this concept, as argued by Landry. She starts by showing that the equestrian culture of England has always been based on immigrants. The phenomena of racing was brought to the Isles by the Romans and during the 16th century, Italian and Spanish equestrian masters of ‘haute d’école, set the trend of riding in the arena. It is generally thought that European horsemanship went through a “renaissance” following the rediscovery of Xenophon’s work, however Landry points out that we might look a bit further east for support of this rebirth of equestrian values. 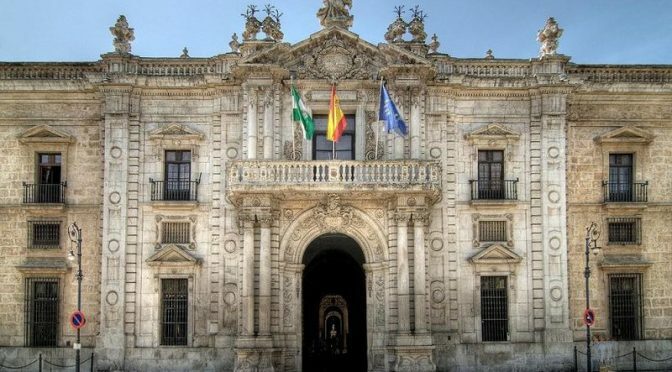 She finds a foundation for her argument that the East was the place to look for the origin of the equestrian renaissance, in the existence of a vast discourse on horsemanship from the Islamic world, called furusiyya. Although furusiyya has not received the scholarly attention it deserves and Orientalism has long been (and still is) so common that Eastern influences on European culture seem absent, the equestrian culture of the east has not gone unnoticed. At first through Italian and Spanish horse masters, English equestrian authorities discovered a more friendly way of approaching the horse, and found confirmation in their observation of the Ottoman’s seemingly very successful handling of ‘noble brutes’. Landry eases the reader into the idea that there was more to the English admiration of Eastern equitation by explaining of what she calls “The making of the English hunting seat” and the “Stealing of a Turk”. 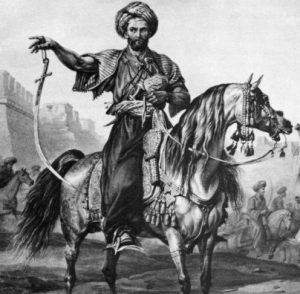 The idea of “riding like a Turk” is very appealing but Landry does not provide much evidence that the development was so directly based on Ottoman example. However, competitive as the English were in the wake of Imperialism, the shortening of the stirrup and posting the trot became viewed as a final departure from European example and the birth of a superior English way of riding. Hand in hand with colonizing various parts of the east, many products from that exotic part of the world were naturalized and now viewed as rightfully English. The equestrian culture was no exception to this rule. But Landry takes it a step further, arguing that through what Gerald McLean called “imperial envy” and the ideology shaping Edward Said’s Orientalism, the imported horses and their naturalized descendents became valued as the epitome identity of British imperialism; Eastern exotic and English appropriated asset of ultimate Englishness. 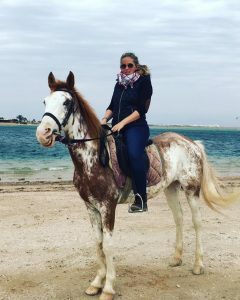 She uses the story of the Bloody Shouldered Arabian to guide the reader to the various roles this horse has played and perhaps still plays in English equestrian culture. Topics like the trouble of importing horses, marvel over their exotic features, their status as living art and especially the birth of the new genre of “equine portraits” that elevated George Stubbs, John Wootton and others to world famous painters, are discussed extensively. More and more the blood-horse featured in art and literature, while the equestrian society became obsessed with hot blood. Imperial envy was so strong that even horses born on English soil were often called Arabian or Barb, solely as proof of their hot pedigree and not as a reflection of modern ideas of breed identity. The idea that the Eastern horse was superior to any other breed prevailed during the 18th and lasted well into the 19th century. But what happened when the English Thoroughbred, viewed as the mirror image of the perfect English self was a well established breed of its own towards the second half of the 19th century? I was happily surprised that Landry does touch upon that question a bit. As she opened the book with “His lordship’s Arabian” she closes it with “Her Ladyship’s Arabian”. The Eastern horse had now fallen behind its product, the ever faster and taller Thoroughbred and Landry shows that men now preferred their own ‘hunters’ to the imported stock, a shift that left the once so sought after Oriental horses in the hands of women. The “graceful and short-coupled” horses were perfect for carrying a side saddle and their willingness to cooperate with their rider gave women something of their own as men didn’t show much interest anymore. A second wave of imports did happen at the end of the 19th century as European travelers went to the Orient in search of fresh Eastern blood to replenish the Thoroughbred stock. As women were not yet ready to let go of their beautiful and exotic mounts, a new preservation theory was born and the idea to breed purebred Oriental horses ‘back home’ was on the rise, with the efforts of the Blunts mentioned as an example of these expeditions. Landry concludes that with this newly found purpose for the imported stock, namely to not only use it as a source for the English thoroughbred but to breed them as a breed of their own, the Turkish roots were buried in favor of the Arabian. She supports this argument with examples of anti-Turkish prejudice prevailing in Britain at the time, but I personally believe that this issue requires a closer look, not only in terms of the historical or political context but also into the motives of the individual promoters of the ‘newly’ created breed that we now know as Arabian horse. I’m sure that the first thing that comes to your mind when you read Desert horse is the Arabian horse. Most horse lovers, no matter what kind of horse or breed they prefer, will admit that the Arabian horse is somewhat more a phenomenon than merely a breed. Without any questions asked, I too used to believe the idea that it had to be an “ancient” breed. The answers seemed everywhere I looked. Numerous books, websites, YouTube video’s and even organizations connected to the breed confirmed the “thousands of years” of Arabian horse history. 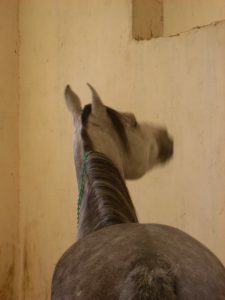 Theories such as the Ancient Egyptian Prototype Arabian, the birth of the Barb and TB and many other current breeds are ascribed to the portrayal of the Arabian horse as the oldest breed. But, as a naturally curious person I started reading more material and started asking myself why most of those books, websites and other sources do not seem to agree with one another on what exactly is an Arabian horse. Sometimes it was suddenly an Oriental horse. Sometimes a Warhorse. Sometimes a Desert horse. The only consensus seems to be the idea that the breed in question is a product of Bedouin tradition. So I started looking for answers there and it wasn’t until I discovered that many Arabic terms that are said to be related to the Bedouin horse breeding tradition are in fact not so easily interpreted that I realized that I was perhaps asking the wrong questions, because all of a sudden the answers weren’t everywhere anymore. Is the Arabian part of Oriental horses or not? What is the definition of an Oriental horse? Do we call it the Arabian horse or the Arab? 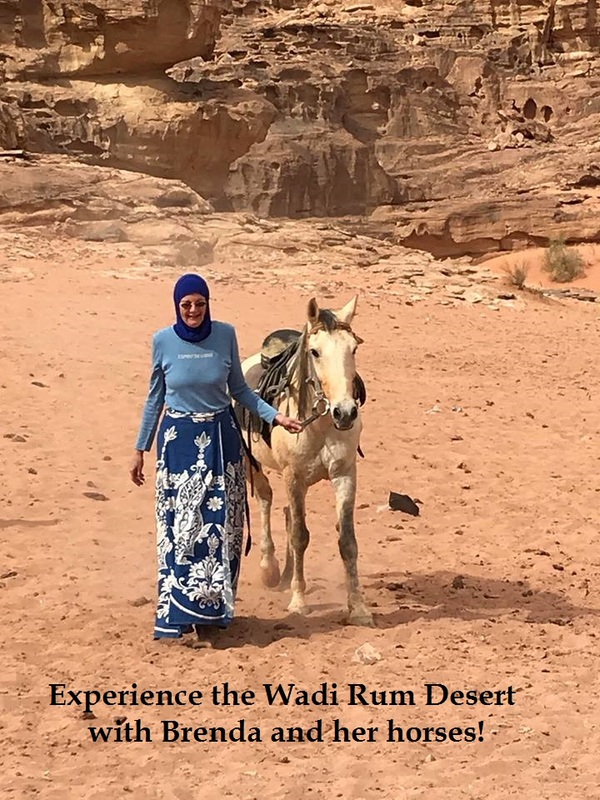 Why do we consider it to be a product of Bedouin tradition? Where is the evidence of such a tradition? When does that horse breeding Bedouin first appear? Bedouin horse or Arab horse? Most literature we have is “western” or more specifically European. During the renaissance of Orientalism the hype of obtaining Oriental horses suddenly reaches its heyday. Examining that literature the Oriental horse seems to be new phenomenon. It is presented as being a precious commodity, in need of saving, instated in the west as part of their renewed cultural heritage. All the different presentations of the horses in question are merely memories of a past, as they all center on some aspect in history, whether it is ancestors, purity, imports, looks or performance. Thus the question here is not so much as where the Oriental/Arabian/Desert horse came from, but rather that of identity. This website will be a platform for the collection and discussion of the infinite memories of the horses in question, through history. I have chosen not to use the wording Arab or Arabian horse as the identity of “Oriental” horses is not yet defined properly. However I will respect general consensus that the horses in question all have the ability to perform/survive/etc. in the desert climate and am therefore looking to remember a desert horse, and hopefully learn more about its identity or even various identities.